Endodontics is an area of dentistry specialising in dealing with the causes, diagnosis, prevention and treatment of diseases of the dental pulp (the part in the centre of the tooth made up of living tissues and cells). 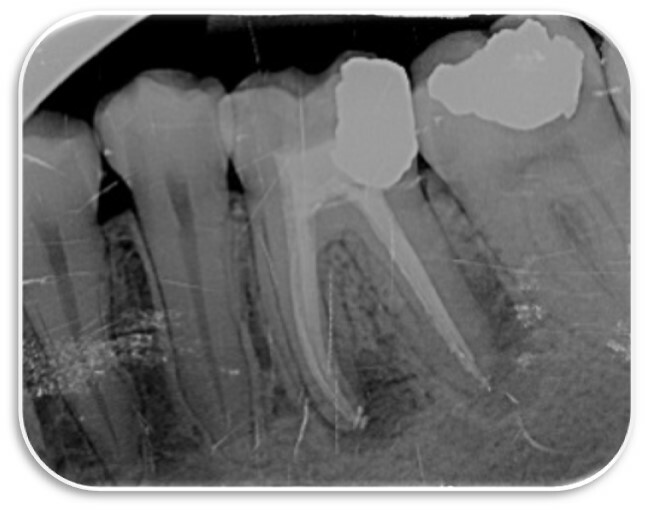 Endodontic treatment is the last stage in attempting to save a tooth. Early diagnosis and treatment is essential, otherwise it may lead to a severe infection. All dentists are trained in endodontic (root canal) therapy. An Endodontist is a dentist who has completed a minimum of 2 or 3 years of postgraduate specialist training. In the UK, this title is awarded after a rigorous assessment process. In more difficult and complex cases, your dentist may refer you to a Specialist who will use a microscope and intricate equipment to give you the best possible result. The Sandford is one of few referral centres in the South East that has all specialities under one roof. Our highly skilled in-house Endodontist will strive to provide you with comfortable and painless treatment, so you can be rest assured you will be in good hands.  An infection of the dental pulp (nerve and blood supply) of the tooth can occur as a result of a cavity or trauma. Your symptoms may include acute pain, swelling or an abscess. The complexity of your problem will be assessed by our Specialist through detailed evaluation. 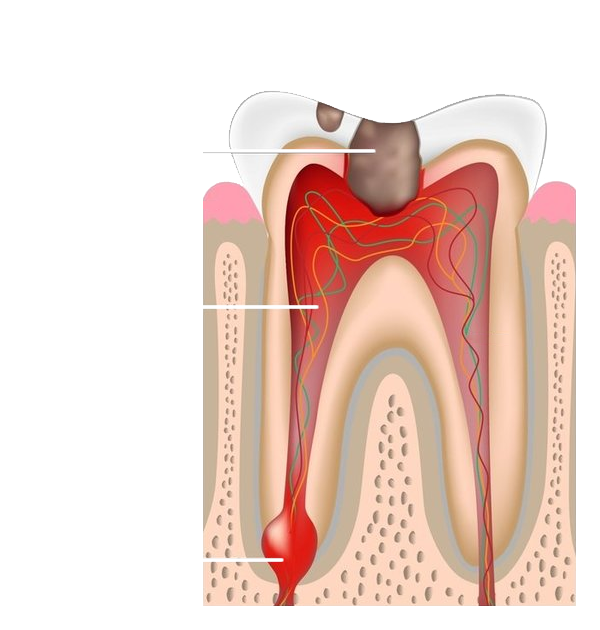 The treatment will be carried out over one or two sessions to eradicate the infection within the tooth and bone. After a period of healing, you will be referred back to your dentist for a full coverage restoration, such as a crown. 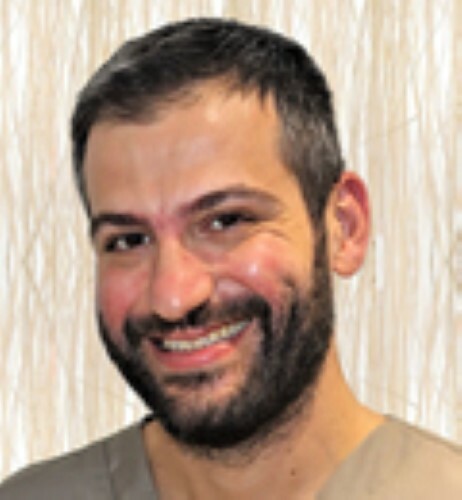 Kostas is a specialist endodontist. He qualified as a dentist in 2007 and continued his post graduate studies, completing his MSc in Endodontics in 2010. In 2011 Kostas applied for entry into the GDC Specialist List (Endodontics UK) and was successful. Following graduation, Kostas worked in private practices across Northern Greece. Currently he enjoys working in private practices in the UK, limiting his work to challenging endodontic cases. Kostas believes in continuous education, professional development and life-long learning. He is an active member of the British Endodontic Society, participating in more than 30 international congresses, symposiums and practical courses. 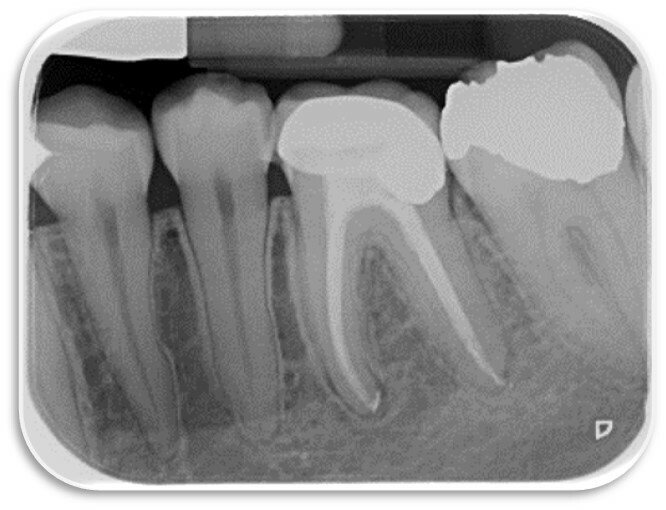 Primary endodontic (root canal) treatment of a lower left molar tooth that was diagnosed with a chronic tooth infection. 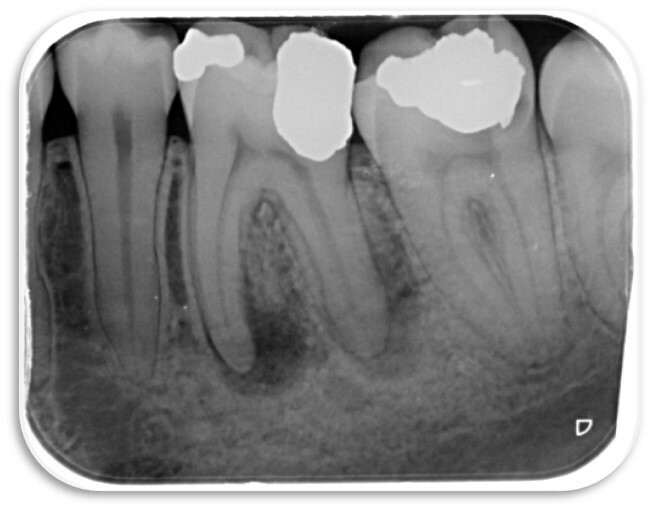 A molar tooth with a dark shadow showing up on the X-ray, indicating an infection. 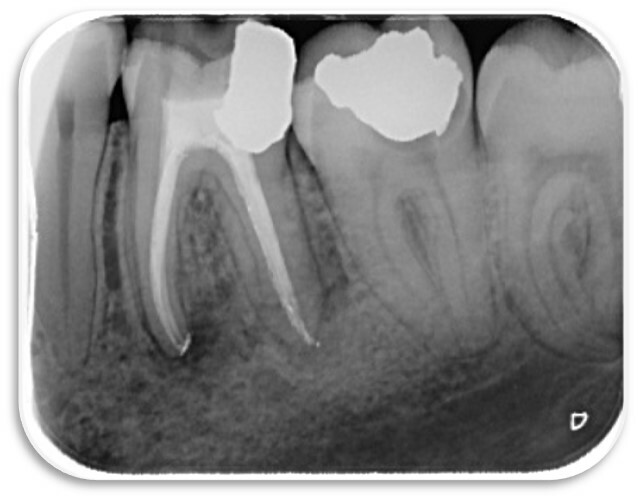 Root canal treatment carried out on the molar tooth, to eliminate the infection and allow healing process to being. 3 months following successful root canal treatment, the dark area of infection is starting to disappear. At 9 months the X-ray demonstrates almost full healing of the infected area.